Cutting: Strong and complex with black cherry, raspberry, pepper, spice and vanilla characteristics. The Rosenblum Aparicio Zinfandel from Amador County features strong, complex, black cherry, raspberry, pepper, spice and vanilla aromas. 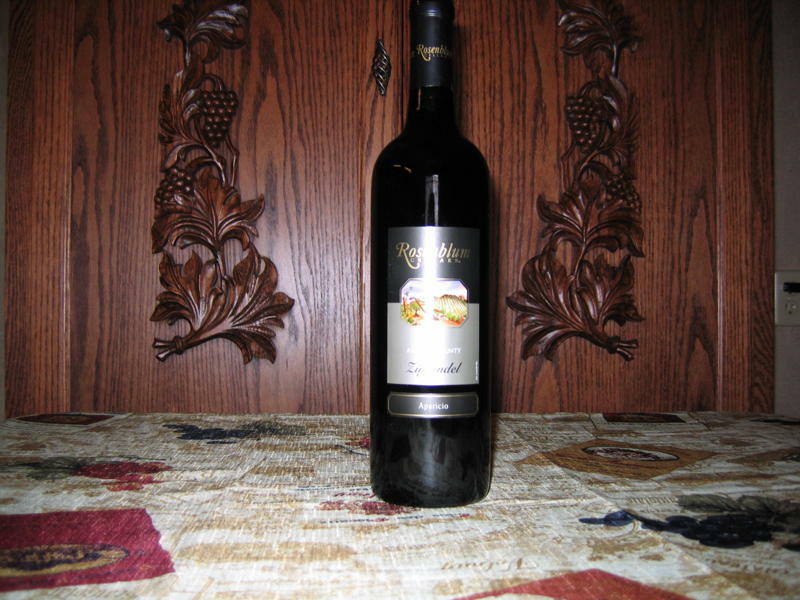 On the palate, black cherry, raspberry, pepper, spice and vanilla flavors come through along with leather and herbal characteristics on the long finish. Some Zinfanatics detected chocolate and smoky notes. The strong characteristics may not be to everyone’s liking – this wine ranked from first to fourth among our tasters.